 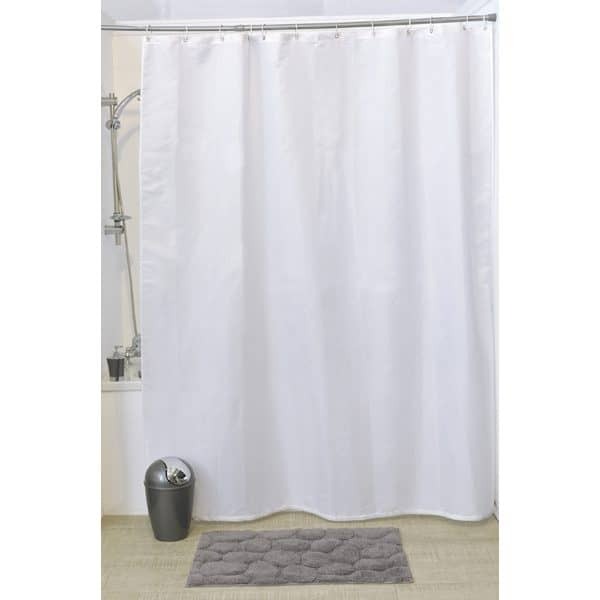 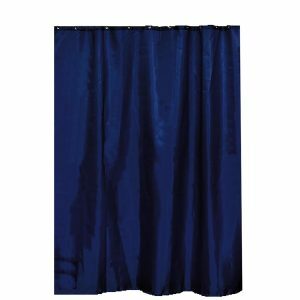 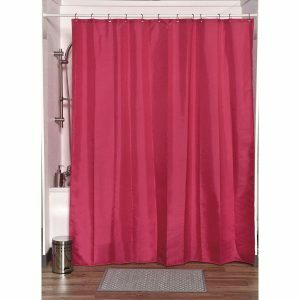 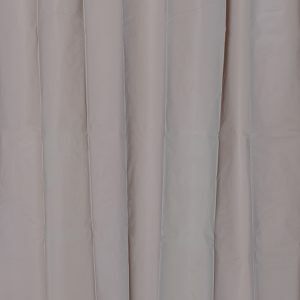 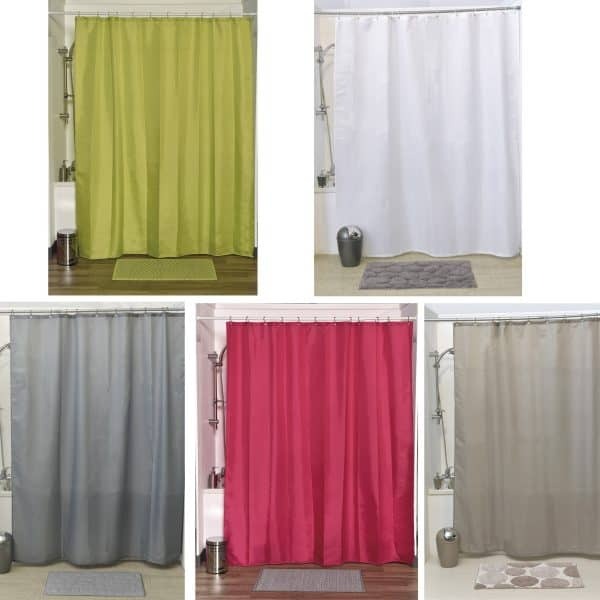 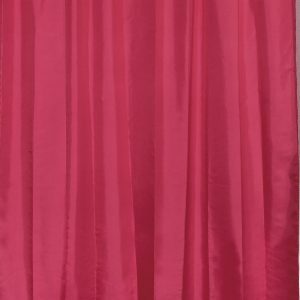 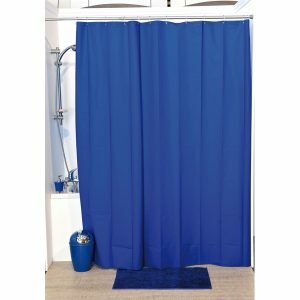 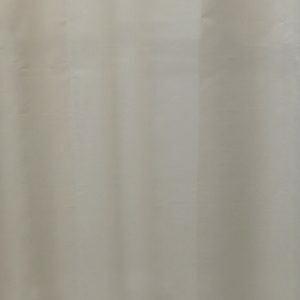 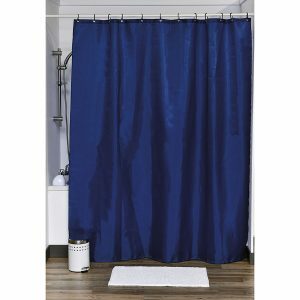 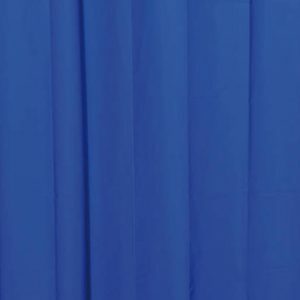 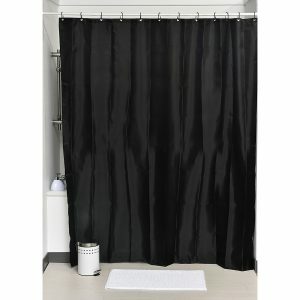 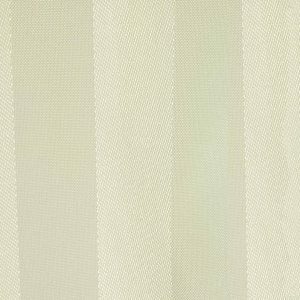 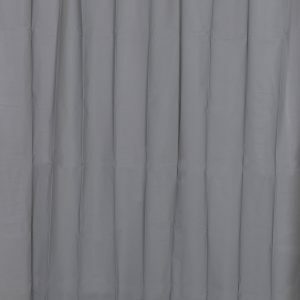 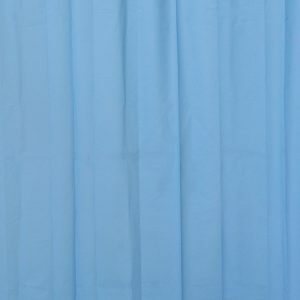 This fabric shower curtain is made of 100% polyester, which is odorless, chlorine free and PVC-free, environmentally-friendly, mold and mildew resistant. 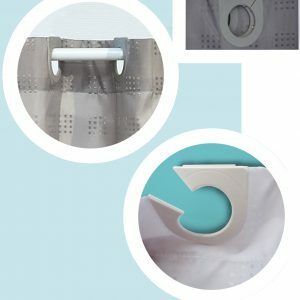 Water repellent : keeps water in the shower – not on the floor. 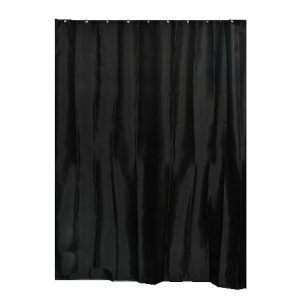 Water glides off and the curtain dries quickly. 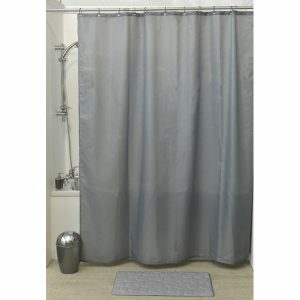 It brings a modern look to your bathroom with its nice solid color and is equipped with 12 strengthened chromed eyelets for hanging (12 shower rings needed, sold separately). It will fit perfectly in your shower or bathtub. 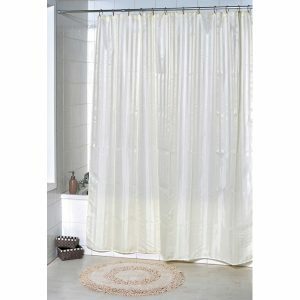 Prior to hanging, immerse curtain in a bath of warm water to help remove creases. 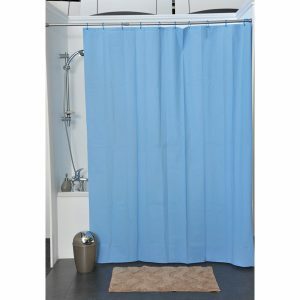 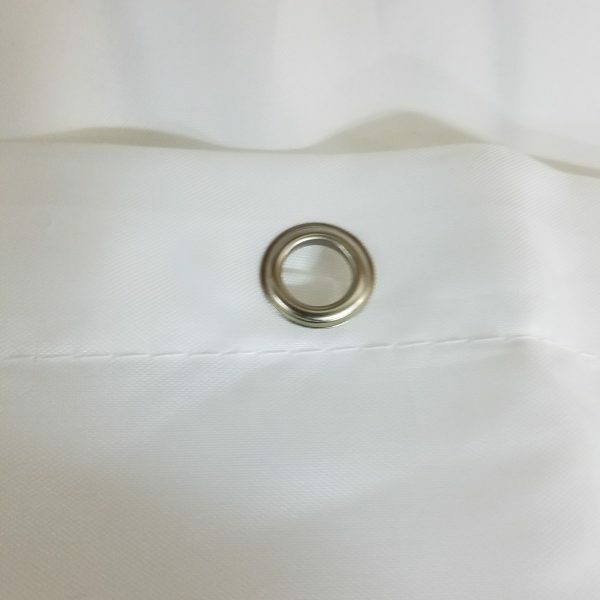 Clean with soapy water only. 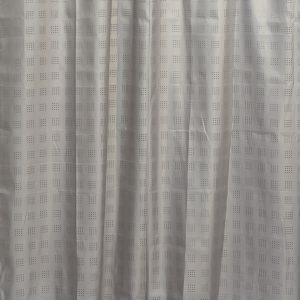 Width 71-Inch and height 79-Inch (180 x 200 cm). 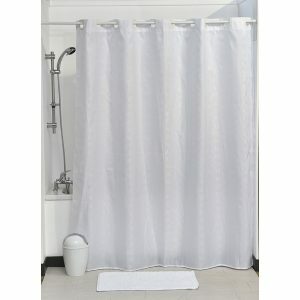 Color white, 5 colors available : white, taupe,grey,pink or lime green. 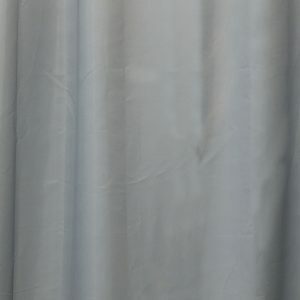 Imported from France, made in PRC. 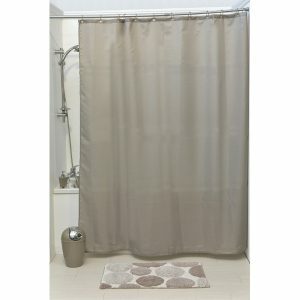 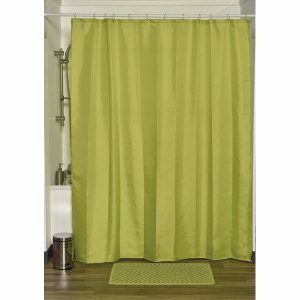 This shower curtain is perfect to add a nice touch to your bathtub or shower decor!